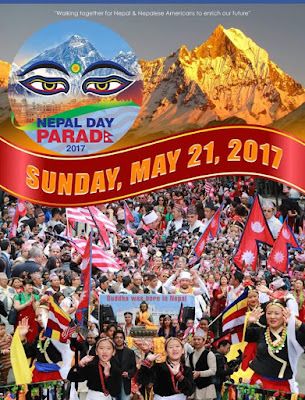 Nepalese diaspora in America is going to celebrate the Second Nepal day parade in New York on coming May 21st, remarking the historical declaration of Federal Democratic Republican of Nepal and the birthday of Gautam Budha which both come in the month of May. New York is considered as the capital of the world where people from the world have gathered. More than 40 Nepalese organizations are hosting this event together with a common goal of promoting the Nepalese heritage, culture, tradition in order to promote the trade and tourism and to spread the value and existence of Nepal and its multicultural entities among the World. As America is the country of immigrants and people around the world live in New York City, it is one of the best opportunities to introduce Nepal to the world. The parade will happen in Manhattan starting from the 38th street of Madison Ave and the rally will be ended at 27th of Madison. The grand rally will be presented with the flag, poster, banners, play cards and multicultural custom, ornaments and all different cultural dances and songs to symbolize the pluralism and diversity of the Nepal. It will also help to promote Nepalese trade and tourism industry and people will learn about the Nepalese diaspora in the foreign land.The mayor of New York City Bill dee Blasio is attending on that day as a chief guest and the Consulate General of Nepal in New York is supporting this parade as per the announcement of press meet. The organizing committee has announced the detail of program calling meets the press event. The conveyor for this year Nepal Day parade has been given to the Mangal Das Shrestha the Vice President of the Federation of Indigenous People of Nepal in America (FIPNA) as the president Luisang Waiba had played that role on the first Nepal Day Parade 2016. In addition, the steering committee consisting the 12 members has been formed and seven subcommittees, in order to optimize the and strengthen the responsibilities to take part in different roles of the parade, have been formed. 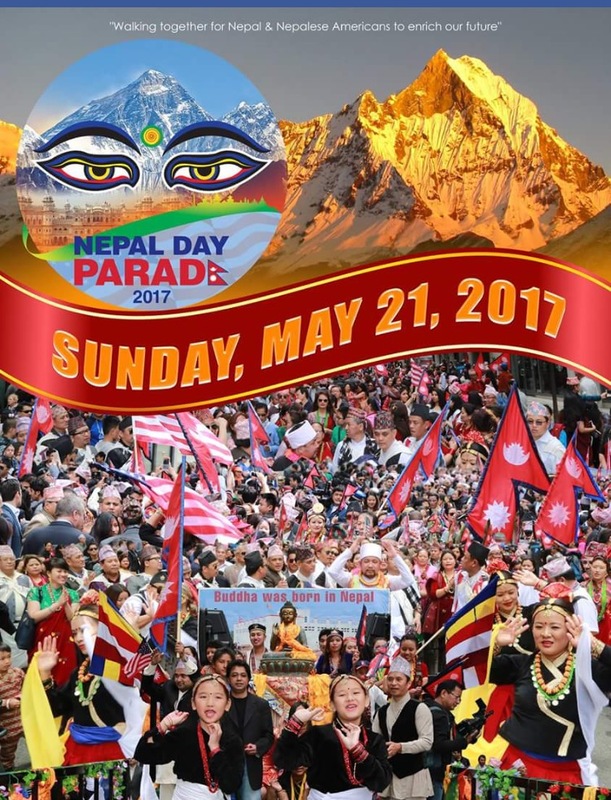 It is also one of the pride of Nepalese community to present this parade among the communities of the world. It integrates all Nepalese people having different cultural backgrounds, different languages, traditions and much more. As the day has remarked the two most important history of Nepal, it will be an opportunity to honor the people who sacrificed their life to make that happened. We all are together for the better future of Nepal and will be united forever for the sake of motherland. It is believed that every organization and individual will show the solidarity upon the historical event as it is also the moment to express our gratitude and respect to the land where we began our journey.